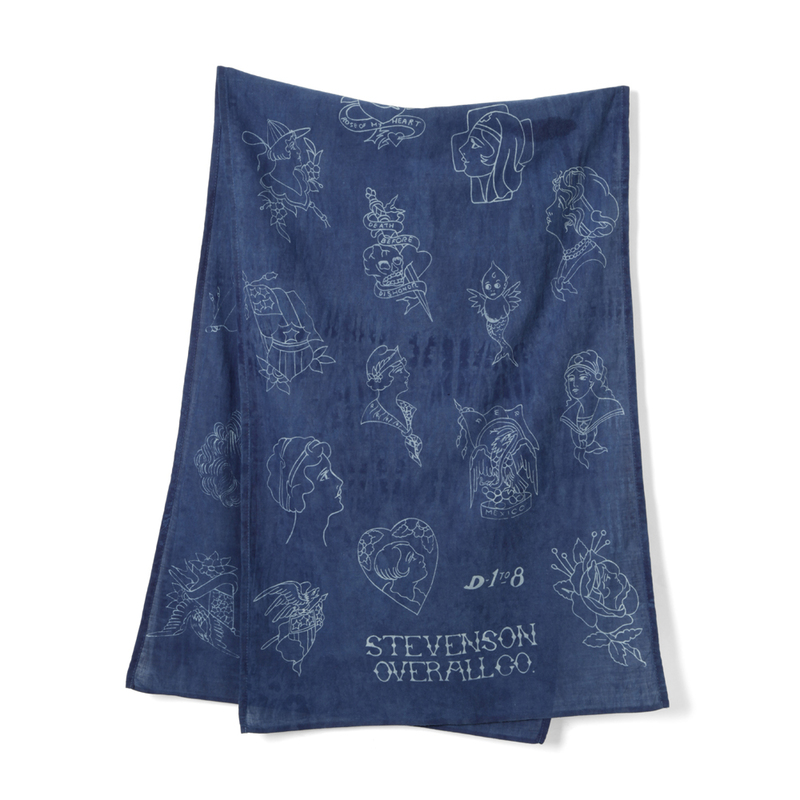 This stole features a design that was redrawn from a classic tattoo design and printed. It is the perfect accessory to add an accent to a simple outfit. Made with deadstock selvedge fabric that was originally supplied to the US military. Featuring an unbleached overprint design. 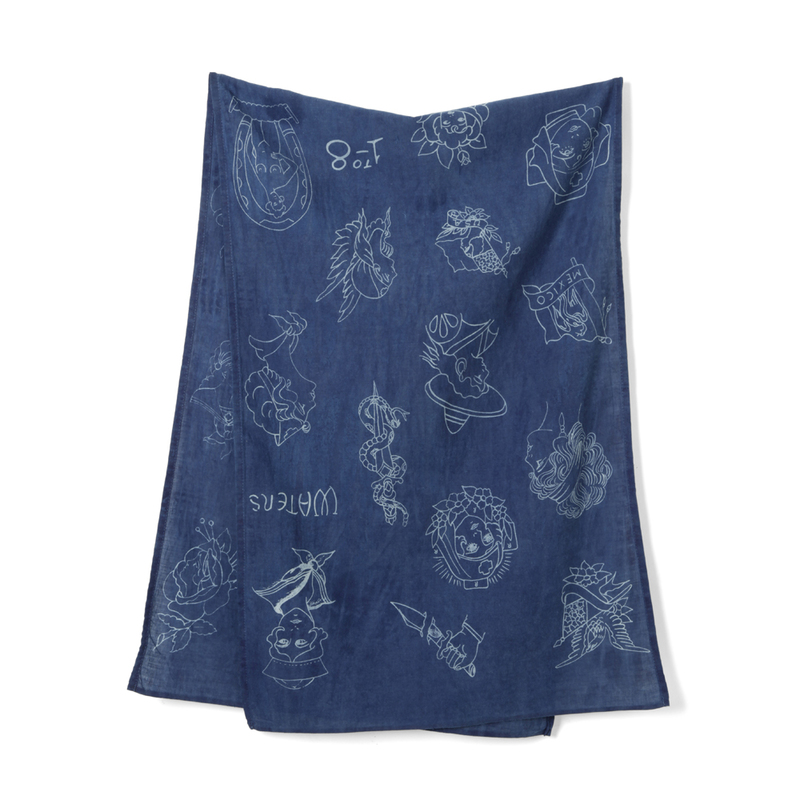 The fabric was first hand-dyed with indigo and the design has been emphasized with colored discharge printing.